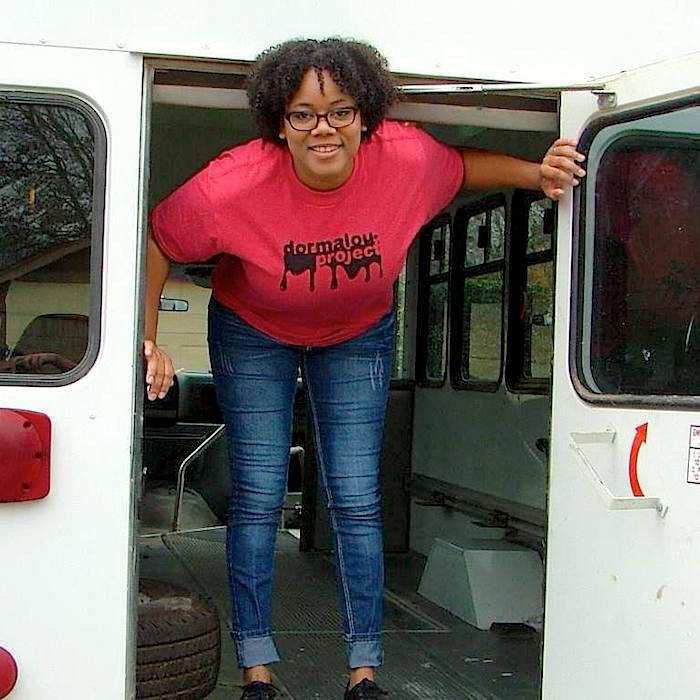 If you live in Houston, you’ve definitely seen Chasity Porter‘s bus parked at events like Art Crawl and our own Pop Shop Holiday Festival. 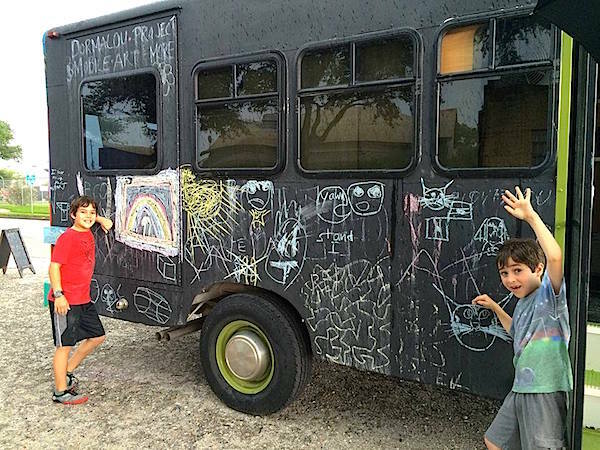 With a fully customizable interior and chalkboard skin, the wonderful bus is ever-changing and always open to interpretation. 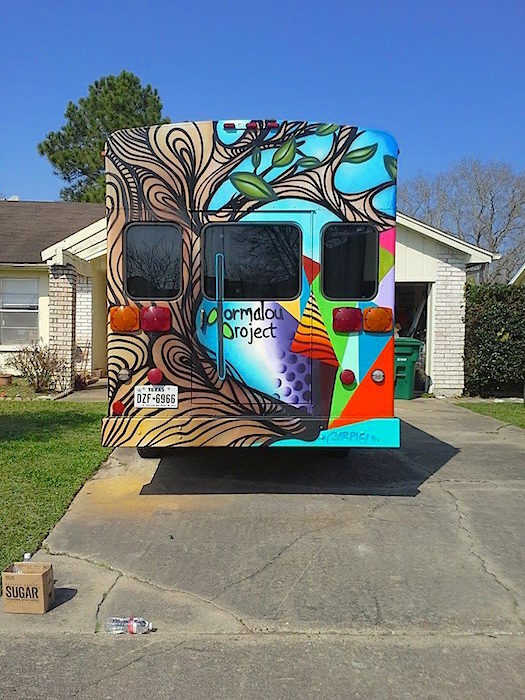 I am so excited to present to you an interview with the curator of mobile art gallery and local charm, Dormalou Project. First of all, you are the special heart and brains of Dormalou. 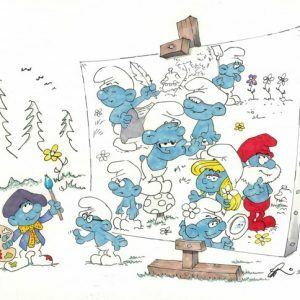 So, Please tell us a little about yourself and your artistic background. Where are you from? Where are you now? I am a true Houstonian, born and raised, and hoping to stay. As far as I can remember, I have always been an artist. I like to think that, that explains my weirdness as a kid and my love for objects. I would find something on the ground and a month later it would be part of my mother’s handmade Mother’s Day gift. It just came naturally. Fortunately, I had really great teachers and opportunities that helped motivate me to stay creative throughout the years. Eventually, I graduated with a BFA in Applied Design and Visual Arts. I’ve had several jobs since graduating: Gallery Director and Manager, Custom Framer, Art Instructor, Permanent Botanical Floral Designer. Each job was an amazing learning experience and I loved them all. However, running Dormalou Project is by far the best job I’ve ever had, and I absolutely love “my boss”. What is The Dormalou Project? Do you remember when you first thought up this glorious endeavor? 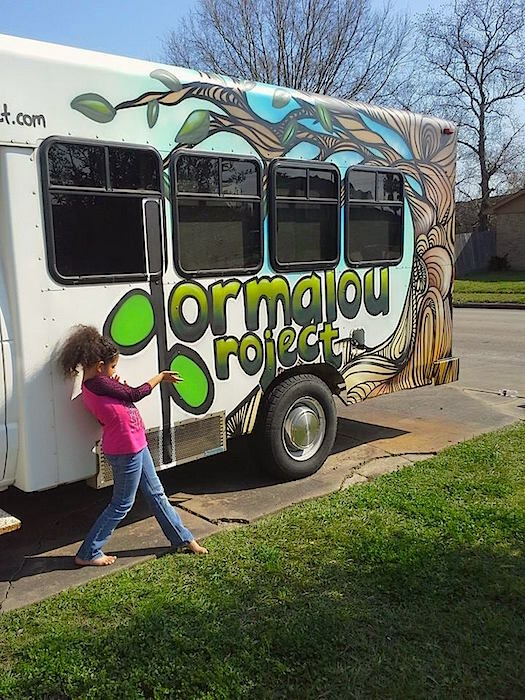 Dormalou Project is a mobile art gallery, an educational service, a supporter of art and artists, an ongoing art project, and so much more. It is constantly evolving and my brain never stops coming up with ideas of how to make it better. 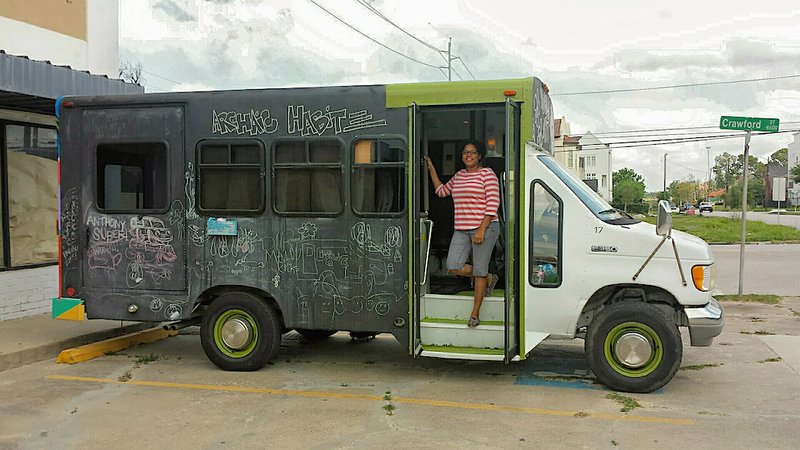 I think the first time I thought up a mobile art gallery was the first time I saw Urban Izzy: Boutique on Wheels. I was so impressed with the idea. That was actually a year before I thought about pursuing the mobile art dream. To be honest, it wasn’t really a dream that I had until early Fall 2014. It was quick and I didn’t really think it through completely, but I knew I wanted to do it. 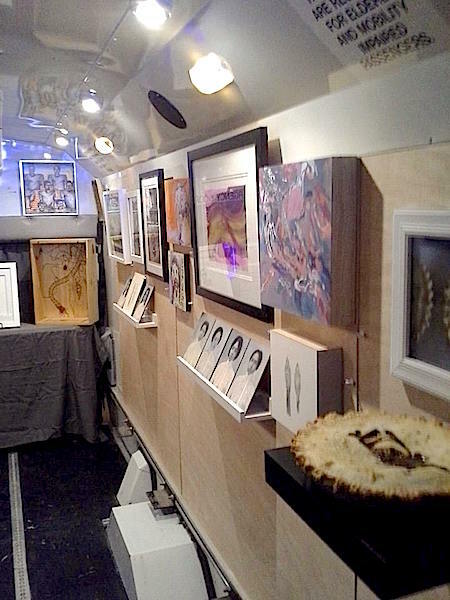 And so it happened, and here I am owner of a mobile art gallery. What happened for the idea to take physical form? Were you already storing a big party bus in the backyard or what? I wish. That would have been perfect. 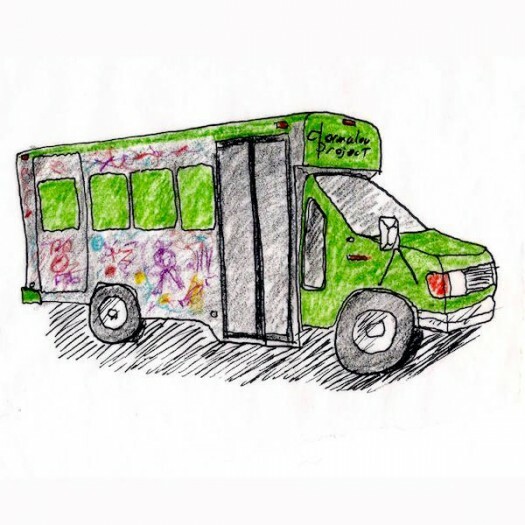 When I decided to go through with this crazy idea, I gave myself a month to find a bus. I know it doesn’t seem realistic but I can be equally impulsive and impatient at the same time (I should probably work on that). 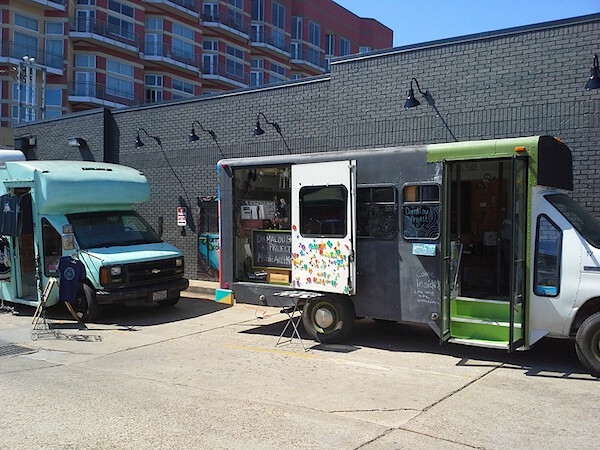 I spent a lot of time on the computer researching other mobile galleries and stores in the world. I shopped through bus retailer websites, as well as craigslist and similar sites. It took the whole month to find the one that spoke to me; it was posted on Craigslist by a local company that had no need for it anymore. It was love at first site. Currently I do not have a team. I am in the process of hiring an intern though. I tried to do it all on my own but there are just not enough hours in the day, plus I try to go to bed around 9 on weekdays. What makes you most proud about this project? What makes me most proud is the positive response that I get from people. And I love how excited it makes the kids that I meet. I wanted to inspire people and I think that I’ve done that, I am doing that. Is there a fundraiser page for Dormalou? 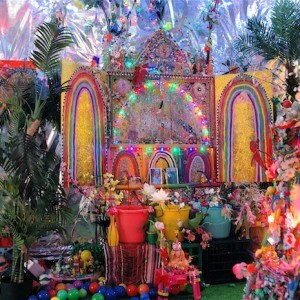 The money raised through Fractured Atlas goes towards Dormalou Project’s educational programs, for instance, our annual Make and Take Expo and Exhibit, kid’s arts and craft workshops, free visits to schools and non-profits, and eventually, scholarships. Do you have any interesting long-term plans? I know I should, but I try not to plan too far into the future. Life is so inconsistent that I find it hard to focus on what I might want to be doing in the next five or ten years. I am a huge believer of “everything happens for a reason”. So, whatever it is that I’m doing at that time will be exactly what I’m supposed to be doing. My family. They support me in everything that I do; Dormalou Project could not exist without them. I have some really awesome friends too. 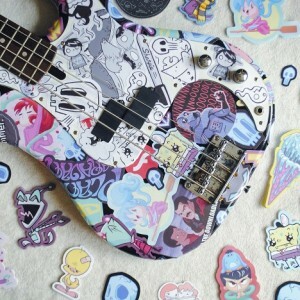 Oh, and the fact that I get to do what I want, that makes me happy. Images sourced from Facebook, Flickr and Dormalou Website unless otherwise noted. 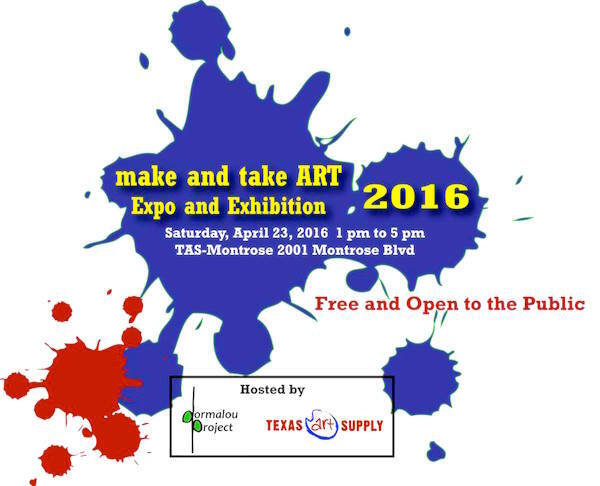 This entry was posted in Art and tagged art, artist, boutique, events, houston, pop shop, pop up. Like Magic: Make Ice Cream with Dry Ice! That’s really a cool idea of mobile gallery…! !